WILLEMSTAD - An illegal bakery gets the support of the Ministry of Economic Affairs to become legal. Recently the inspection team visited the Good Price Bakery on the Seru Fortunaweg. The bakery was not registered and indeed did not have a license. But during the inspection, all other things were fine. The bakery was super clean and all employees had the right papers to work in a bakery. A model bakery, the inspection team concluded. Now they only need the license. 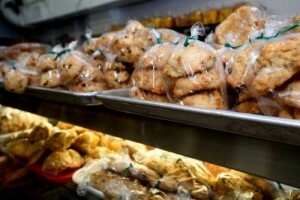 Once that is taken care of, the Good Price Bakery can open again.